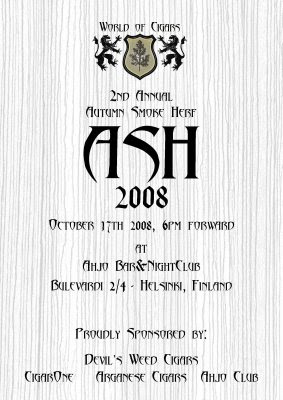 Regarding the ASH 2008, I have the pleasure of announcing a sponsor to the Charity Event, that is not directly related to cigars. Spreadshirt is a company which enables people to design, custom, buy and sell unique print clothing and apparel. Spreadshirt makes it possible for those with private and commercial internet sites to market their homepages quickly, simply and independently. Anyone with an internet presence can create an online shop with individually created products and connect it with their homepage within minutes. You just need internet access as well as your graphic and logo data. Spreadshirt will take care of the rest from payment processing, production, and shipping to after-sales service. You simply just have to market your products online. In celebration of the 2nd Annual Autumn Smoke Herf, i have established two separate WoC shops, in which you can either buy the official World of Cigars clothing and apparel or create and order your own desings. From all WoC products which are purchased before the ASH2008, I will donate to the children’s hospital the whole comission i gain from the sales. From sales After the event and before 2009, I will donate 50% to the named charity. The rest of the comission goes to running and developing the World of Cigars Blog. Some samples of the products are available for purchase at the ASH2008 event against donations, Compliments of Spreadshirt. More information can be asked simply by sending me e-mail through the contact me tab on the navbar of my pages. Have Fun... and most of all: Please buy to benefit the Charity. PS. I will soon post a “pricelist” for all the cigars, drinks and products you can buy against the donations for charity at the event. Stay Tuned. 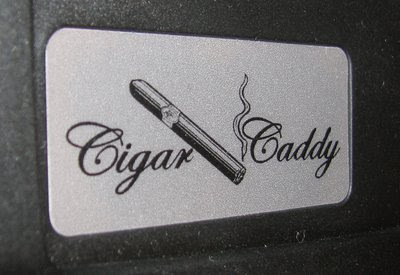 Finally i got around to write this review on the Cigar Caddy Travel Humidors. It has been a while since i got the three samples from Josh Richardson at Cigar Caddy and i have been trying to put them through the purgatory ever since. The Cigar Caddy is basically an Otter Box case suited to carry cigars. The case is made from durable ABS plastic that’s reinforced with fiberglass. It is air and water tight with a proper foam cushioning inside. 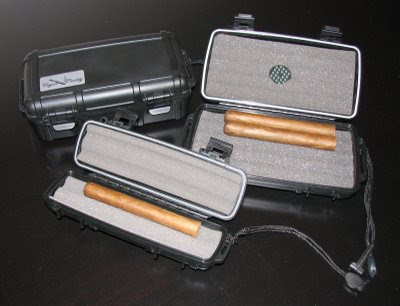 The test subjects were the travel humidors for 2, 5 and 10 cigars. In addition to these, Cigar Caddy can be acquired also for 15, 18 and 30 cigars. First of all, these babies can handle almost everything. You can drive your truck over them, throw them around, drop them in the water hazard at the links and smack them to a wall. Yet, cigars travelling inside safe and sound. At least, i was not able to destroy my precious smokes by keeping them in the Caddy through all the above. And, what is also extremely important, the cigars stay humid, thanks to the humidifiers inside the 5 sticks and above versions of the Caddy. I sent one Caddy overseas to the US (i live in Finland) and asked the recipient to tell his views on it, how did it handle the trip, how were the cigars inside and if he is likely to use the Caddy going forward. All comments were as i expected, the Caddy was in pristine condition as were the cigars. 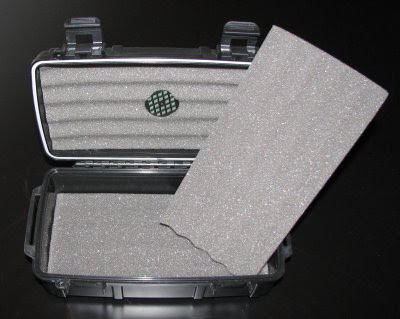 As far as the usage of the Cigar Caddy goes, he was thrilled to have a decent travel humidor to take his smokes around, instead of some DIY solution for the task. All in All, I highly recommend getting yourself one or two sizes of the Cigar Caddy if you want to travel with your cigars, smoke while playing a round of golf and/or spend quality time on your boat or summer house. My job requires me to go around and i trust the Cigar Caddy to keep my cigars safe wherever i might end up or whatever period of time i will be away from home. If i would rate accessories, i would give Cigar Caddy 100 points out of a 100. Dortmund, September 21st, 2008. – Today, the European Cigar Cult Journal awarded the Cigar Trophies in Dortmund, Germany at the 30th Inter-tabac trade fair. This was the eighth time the prizes, regarded as the highest accolade in the trade, had been awarded since 1998. The hotly awaited cigar industry “Lifetime Achievement” award went to José Orlando Padrón, founder of Padrón Cigars, Inc.
"You don't know the power of the dark side..."
As the largest of the Maduro 5 line from Cohiba, also the Genios has been created to reach the growing market for maduro smokes. The Maduro 5 line is nothing like any of the previous Cohiba cigars, but succeed in being at the same level of quality. The overall flavour profile has similarities to the Siglo line, VI in particular, but at the same time does not come even close to being the same. The maduro wrapper brings a sweet twist to the mix of cocoa, chocolate, espresso and some spice. The Genios is a full bodied cigar, that is perfectly balanced and very rich in flavour. The flavours evolve and intensify throughout the cigar but without overpowering the palate. The finish is creamy and spicy. Draw resistance and burn leave no room for complaints and the beautiful light grey ash and generous smoke add value to the over all aesthetic experience. I am a big fan of the Siglo VI, but the Genios seems to just add that little something to atleast create some genuine competition on the title of the best Cuban cigar in production. A couple of years on this cigar should make it even a stronger candidate for the position. The Genios is another cigar, that fits my taste perfectly and absolutely earns its place high on my list. The selection is now including WoC clothing and apparel, as well as ASH 2008 Limited Edition clothing and accessories. The shop works so, that i get a comission of few EUR on every order. The most of the price goes to the manufacturer of the products. now it is finally here! 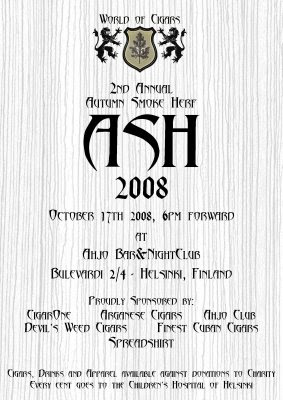 ASH2008 with the same mode as last year's ASH but bigger and better. Spread the open invitation, just be sure to let me know if you are attending. RSVP via e-mail, 30th SEP at the latest. This is to ensure enough space for all... The place of the event is still under negotiations, but from last year's experience Ahjo would be the right place. This year I will be also accepting donations for charity. All donations over 5 EUR will be greeted with a quality cigar! All Donations go directly to the Organ Transplant Department of the Helsinki Children's Hospital. Every cent will be appreciated!